They loved it. Go figure. On Thursday, we had our first snow/sleet/yuck event of the season. We had all believed the weather forecast, which called for a "dusting" of the white stuff (which is kind of like believing Pinocchio, or many politicians—why on earth would anyone do THAT?) and headed out on the highways and byways to begin our busy days. Within moments of the first flakes falling, it was clear that it would only be a "dusting" to someone who had never dusted before. After hours of steady snow, it switched over to ice, and finally to a cold rain, with plenty of wind. Sheridan eventually got home from the Main Line, rating his trip the toughest he’d ever driven. The only ones not bothered by the storm were my grandsons, who loved playing in it (though it took Ya-Jhu 20 minutes to dress Peter snugly, which was longer than he stayed outside). Yesterday morning was a slippery mess, with many roads still only semi-cleared. Is this the way it’s going to be? It is not even Thanksgiving, for goodness sake! We don’t live in Colorado, or Alaska, where residents know exactly what they’ve signed on for—this is should-be-temperate Philly! I approach the winter ahead with dread, knowing in my heart that yesterday was a mere taste of the wretched weather to come. I could say that l enjoyed winter as a child, but I would be lying. Even at age six, building a snowman in the bitter cold struck me as a painful and unnecessary pursuit. Instead, I would curl up with my book and wait for April. The robins and daffodils used to herald capital S Spring, and we girls wore pastel coats and hats during the many mild weeks before summer’s heat arrived. Now, Spring is a very fleeting thing, a day here, a day there, alternating with freezing and roasting temps. Part of me would love to be a snowbird, like my friend Jim Grant, who lives in Sarasota, Florida in January, and Canada in July. But I’m noticing that these weird weather patterns are increasing everywhere; now it seems there is no place to escape nature’s extremes. Europe, where I have been lucky enough to travel lately? It’s been either much hotter, or much colder, than normal (sometimes both). We were in Venice in May, and were saddened to learn of last month's intense flooding (mind you, it’s often wet there, but I saw videos of flooded, but still open, restaurants, intrepid waiters and patrons sloshing around knee-deep in H2O). Even in beautiful Hawaii, where C and Rob live, they’re dealing with warming seawater that is threatening fish and the coral reef. I really hate the thought that it all may be getting worse on planet Earth. Will our grandkids have to seek out distant solar systems in retirement (Milky Way Acres 55+ Community)? Or is there still time to slow down climate change? Amid all the foolish inaction, let’s do our best to be weather wise. 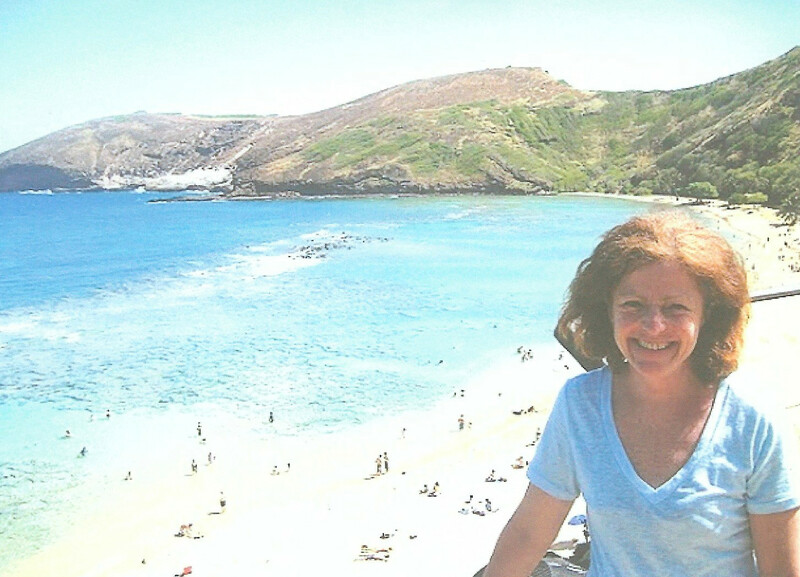 At Hanauma Bay, Oahu in 2011--gorgeous tropical fish and coral are now endangered!